Solving your most difficult challenges with quality and excellence. PanelShop.com is an engineering solutions company providing custom electrical control panels and products. We serve as your panel building partner from concept to completion, solving tough electrical control challenges and helping businesses grow. PanelShop.com builds panels from the big and complex to the simplest operator station. We treat projects of every size with the same respect and dedication to excellence in our worksmanship. Our capabilities cover a broad range of industries and applications, and we are UL Listed as well as certified for hazardous locations. Whatever your project, we have the experience and capacity to produce the highest quality project with the engineering expertise and customer service you deserve. Customers can also use our online configurator to build control panels or products to exact specifications, instantly review various engineering drawings, schematics, and manufacturing documents. Ordering online reduces costs while our panel-building capacity and experienced staff minimize the risk of searching for a supplier. Customers who partner with PanelShop.com receive the same engineering support, customer service, and high quality production of a large electrical engineering firm. PanelShop.com has the following certifications! 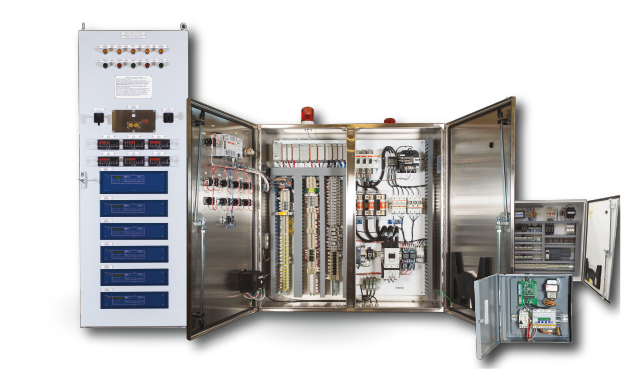 PanelShop.com offers a wide range of services that include designing, fabricating, programming, installation, and servicing of control panels in production and industrial environments. 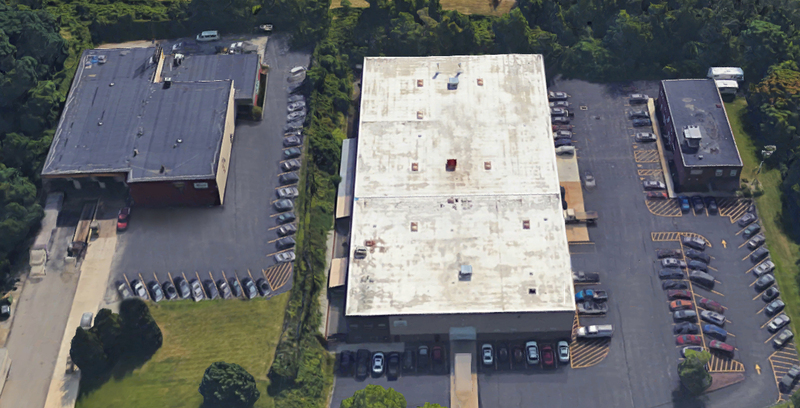 Our 50,000 ft. manufacturing facility produces thousands of panels a year, from simple pushbutton panels the size of toasters to industrial refrigerator-sized custom builds. We also retrofit existing equipment and can help you integrate new functionality into older automation. Do you have an upcoming Project? Work with us. Superior quality, complete user satisfaction. At PanelShop.com, we follow a precise internal protocol to ensure the highest quality of each individual product. PanelShop.com’s Quality Management System was developed and implemented to document the company’s best practices and ensure superior project management. This system has led to reaching and maintaining two very important organizational goals: superior quality and complete user satisfaction. 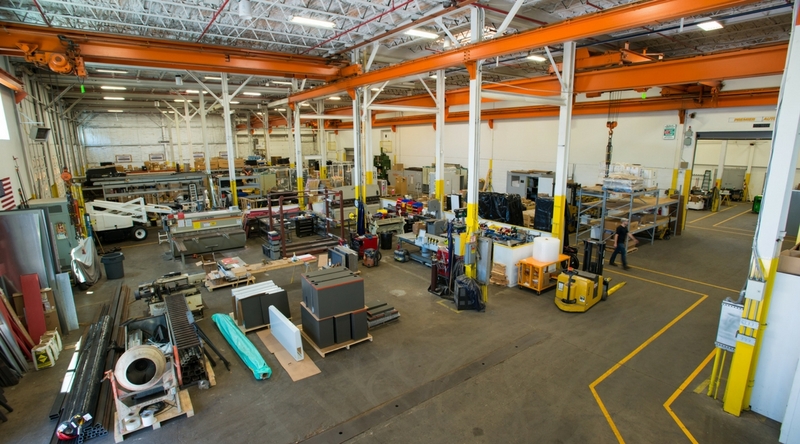 At PanelShop.com, quality is driven by a stringent quality control system that oversees the online configurators, pre-engineered drawings, bills of material, manufacturing process, testing procedures, and document control. This Quality Management System ensures that every panel or component produced meets the performance needs of our customers. Our teams of senior-level Engineers, assemblers, wiremen and test technicians all have extensive experience in the industrial automation industry. 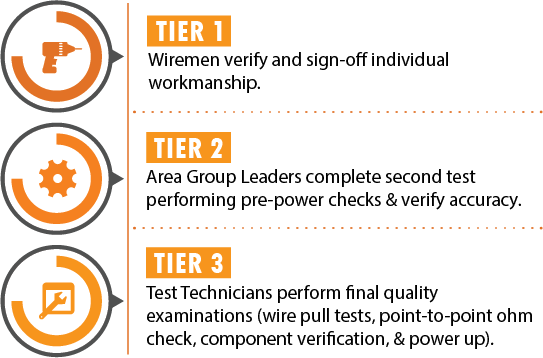 All PanelShop.com assemblers and wiremen have been trained regarding company standards, tools, processes and safety procedures. The design of every product offered by PanelShop.com has been reviewed by our experienced engineering staff to verify correctness and functionality. PanelShop.com follows a precise system of document control and quality inspection for every panel that we manufacture. We maintain electronic records for every panel built which includes drawings, bills of material and testing documents. In addition to our on emphasis on quality, PanelShop.com is extremely familiar with, and builds to top industry standards such as UL, CE, and CSA to mention a few.